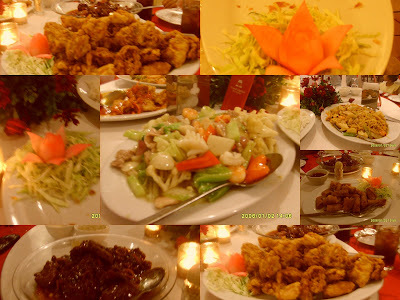 This was the food we ordered during our Valentine Dinner Special with my whole family. So yummy and delicious in one of the well-known restaurants here in our city. Have a fruitful week ahead of us! Yummy ... is that 'kerabu mangga'? Oooo fancy! I love the flower. wow... food galore! love the veggies.